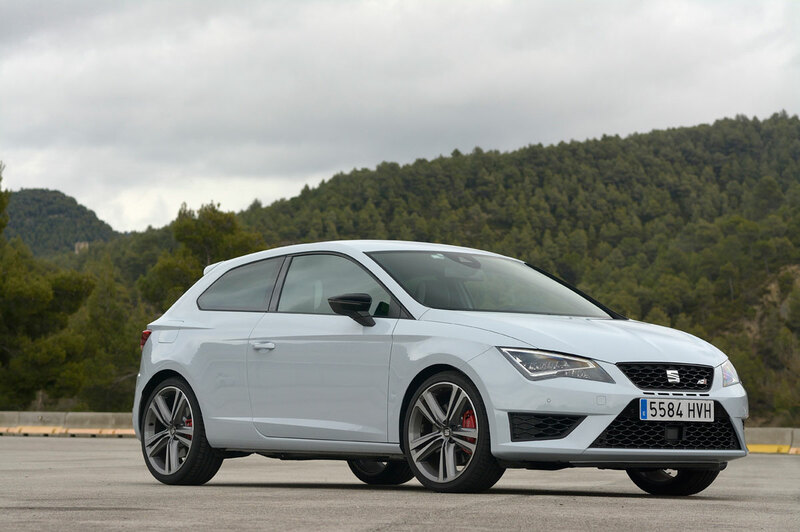 The 36-month deal includes a £1,000 deposit contribution from SEAT UK and interest at just 4.9%, making the new Leon Cupra as financially judicious as it is phenomenally fast. 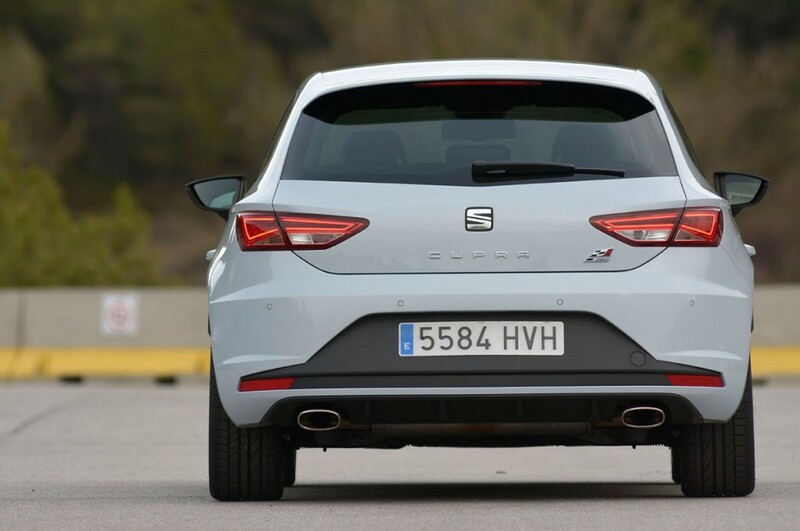 The SEAT Leon SC Cupra boasts a 265 PS engine capable of propelling the car from zero to 62 mph in just 5.9 seconds, pushing it on to a 155 mph top speed. 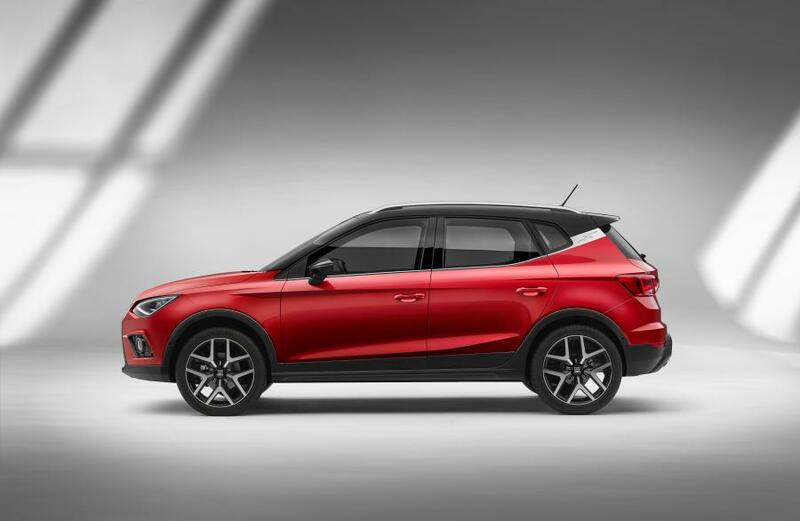 It’s stacked with kit too, with a standard equipment list that includes 18-inch alloy wheels, full-LED headlights, rain-sensing wipers, DAB radio, and Cupra-specific styling details including a perforated leather steering wheel, sports seats trimmed in Alcantara, and Cupra-branded sills. 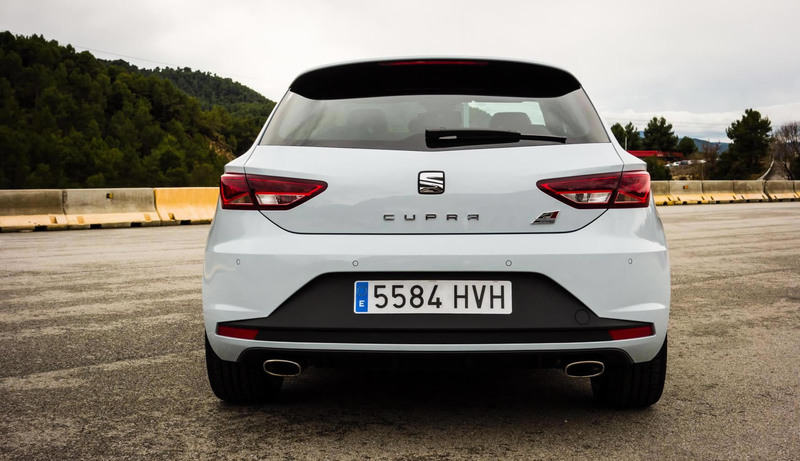 The SC Cupra underpins a family of Cupra models that gives buyers a broad choice; the new Leon Cupra range offers two body styles (three-door SC and five-door hatchback), two transmissions (six-speed manual and DSG automatic) and two power outputs (265 PS and 280 PS). 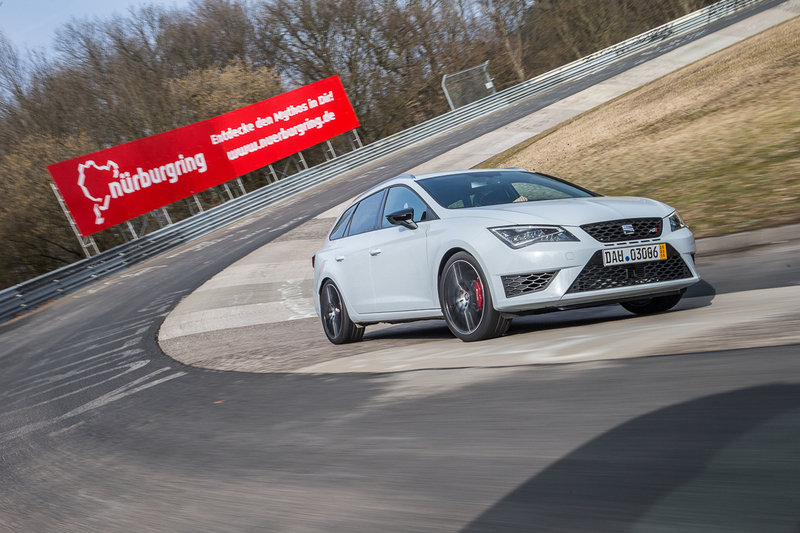 The Leon Cupra 280 DSG is the quickest and most powerful series production car that SEAT has ever made, boasting a 5.7-second 0-62 mph sprint made possible by the combination of a 280 PS turbocharged engine and a twin-clutch DSG gearbox, shifting through the gears in milliseconds. In addition, the standard fit mechanical front axle differential in every version of the Cupra model helps ensure maximum traction at all times. The Leon SC Cupra 280 DSG is also the most efficient of the range, with average fuel consumption homologated at 44.1 mpg, and CO2 at 149 g/km. 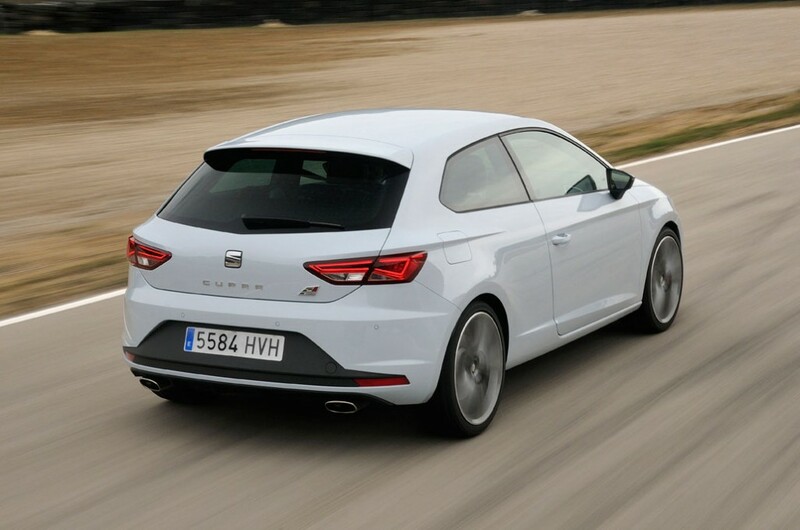 Using the same PCP finance deal that bags an SC Cupra 265 PS for £265 per month, the 280 PS DSG model is just £305 per month. All SEAT’s Leon PCP deals benefit from a £1,000 deposit contribution paid by SEAT UK. If a 50% deposit is placed on a Leon Hire Purchase deal (£1,000 of which is paid by SEAT UK), 0% APR finance is available on every car in the Leon range. This finance deal also means that a Leon 2.0 TDI 184 PS – the most powerful diesel production car that SEAT has ever made – is available in SC form for just £199 per month. All deals are based on a 10,000 miles per annum contract. 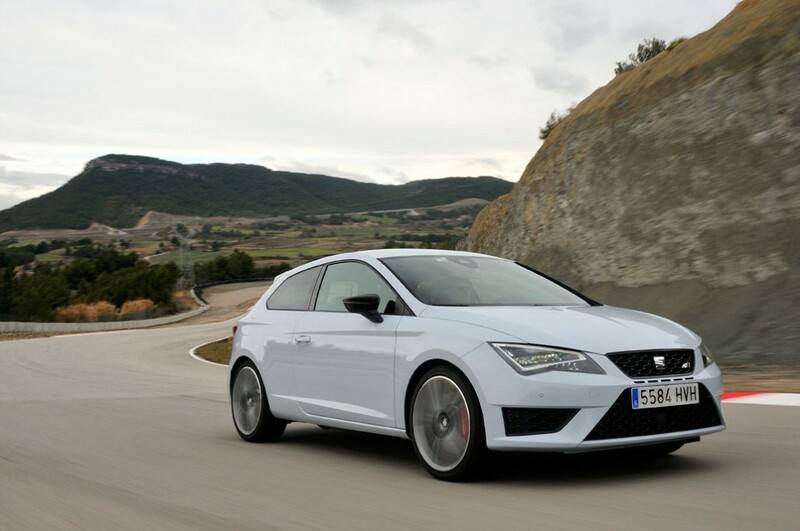 Syphon drove the new Leon Cupra last week in Barcelona, his report including exclusive pics and video is here. I gather there is a large customer deposit to enable it to be £265 or £285 pm? 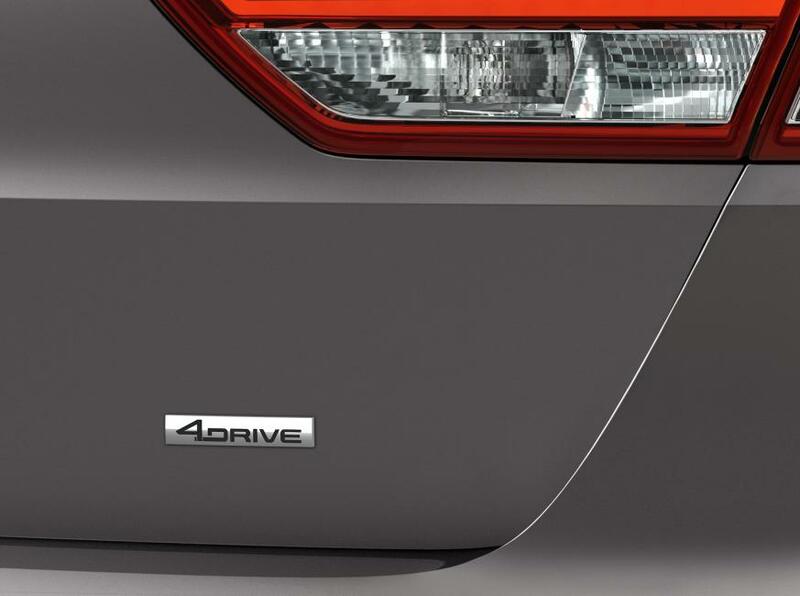 There was no accompanying finance information with the press release, so we can’t show the example. However based on the RRP, I estimate it would have to be a deposit of more than £6000, not including the £1000 contribution from SEAT. If it’s over 36 months like the article says then I assume you need the 50% (which would be around £13-14k) then the 36 months at £265 (gives you about another £9.5k) combined with the Seat contribution (£1k) drops you just a couple of £k off the mark of the £26-28k asking price for one. Might be a small(ish) lump to pay at the end too??? I’m probably totally wrong but it makes the 36 month deal figures more understandable to me, otherwise you’d need a very big final payment to cover the shortfall at the end of 3 years if you only put down a small or no deposit. Under the 0% offer there is no final payment, the remaining 50% value must be paid off over 36 months. I can assume this £265 per month offer is on a SEAT 4.9% PCP with a large deposit. So as a guestimate, approx £7k down as a deposit, then 36 months at £265, then if you decided to keep the car after 3 years, a final GFV payment of between £11-£12k would need to be found. I assume this is only available with the mentioned 50% deposit. Don’t think this will be the 50% deposit, 0% Finance deal. Based on the Cupra SC RRP of £25690 – 50% deposit would be £12845, subtract £1000 SEAT contribution. £11845 over 36 months at 0% – approx £330 a month. As far as we are aware the 0% offer is limited to a 3 year deal.